blanketing the whole sky; they think that they know everything. Fireflies were everywhere when I was a child, but they don’t favor many of the places I’ve lived since. Now, I’m near a wooded area where they flit and fly during the evening, and when I see them, I’m a kid again. I can’t imagine living in an area without them. Well, though, we don’t have lizards running around here. Love the tale, the insect and the photo! I meant to reply to Belinda’s comment, which said exactly what I thought. In general, I will comment directly on the post. An amazing photo! 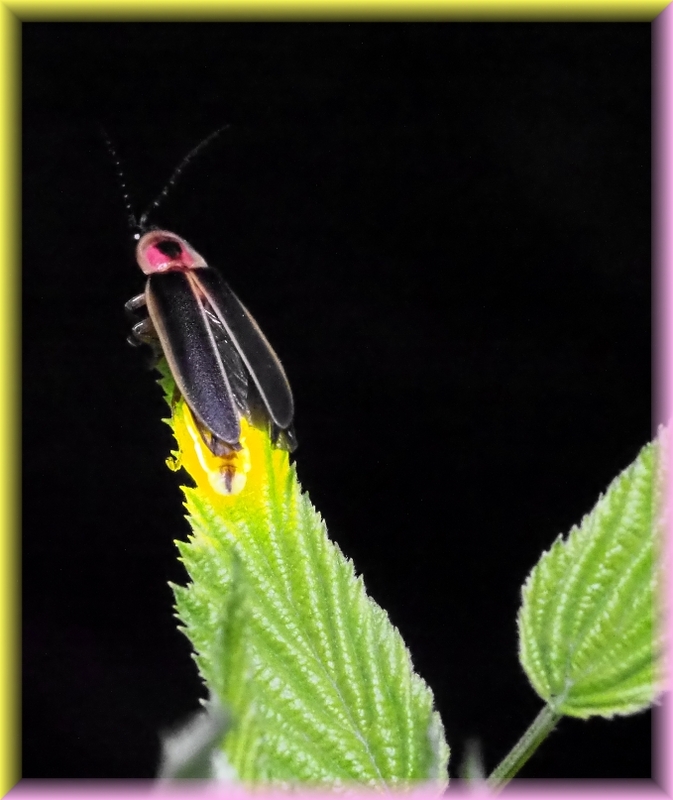 Unfortunately, fireflies are not common in FL, but when I lived in the midwest late 80s-early 90s, I enjoyed seeing them in the corn and soybean fields nightly throughout the summer. I love watching them charge up in the evening. I can see them pulsating, dimly glowing brighter and brighter until liftoff. Pretty cool. Great pic Tom. Well done! They are pretty magical, aren’t they, Jim?! Good thoughts on recognizing and appreciating the humble among us. I have fond childhood memories of catching fireflies in jars and sitting in the closet with my siblings. We all grew a little wiser from their illuminations. … and Scarlet, and the two little dogs, the many fish, shrimp, and aquarium plants! 🙂 (I’ve really been interested in new aquarium plants lately.) Hoping your weekend is great, Mitza! WOW Tom, what an amazing shot. What kind of high-powered camera do you have to capture the right moment of illumination? Thanks, Kym! 🙂 Olympus EM1 Mk2. Always good to remember lots of little lights add up to a big glow together. That’s a nice story Tom and I heard a little factoid about fireflies yesterday – their illuminated bodies tell bats that they are not good to eat. When they light up, it deters the bats from going after them. Wow, that’s very interesting, Linda! 🙂 I remember reading, long ago, that firefly derived repellants were being used to keep sharks at bay, but i don’t know if such things are still being used.